The last time we heard from shock rocker Marilyn Manson, he was hit by a man. Up next, however, the artist will get his own turn as hitman with a role in a new film. As Metal Injection reports, Manson will appear in the new film Let Me Make You a Martyr, playing a character named Pope. According to its IMDb page, it's "a cerebral revenge film about two adopted siblings who fall in love, and hatch a plan to kill their abusive father." Manson will be joined by his former Sons of Anarchy co-stars Mark Boone Jr. and Niko Nicotera. The film is being helmed by relative newcomers John Swab and Corey Asraf. On his Instagram, Manson shared a pair of photos from the set of the film, which you'll find below. 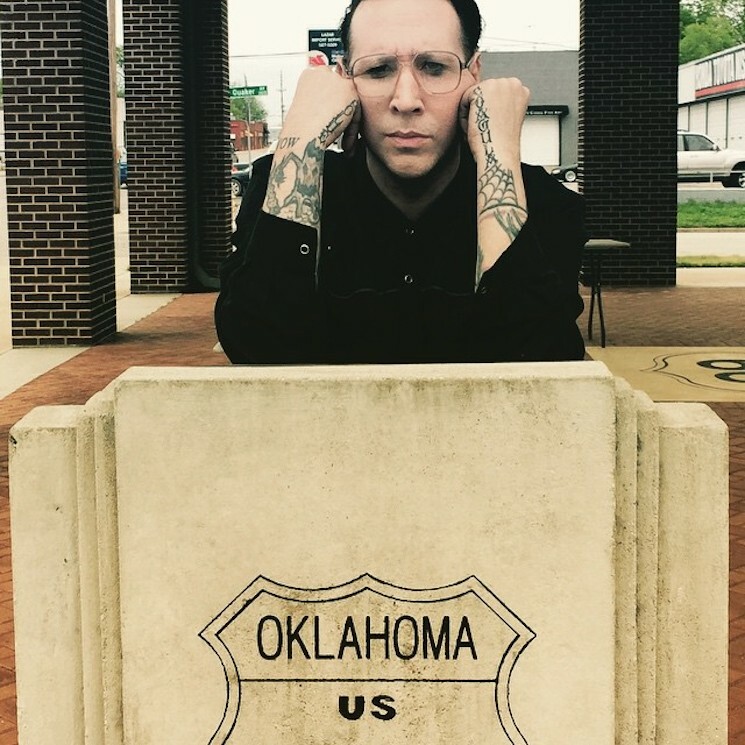 In addition to getting beat up in a Denny's and acting in films, Marilyn Manson also has a summer tour booked with the Smashing Pumpkins. The trek's dates are available here.